Off the Interstate 285 Buford Highway exit in Doraville, Georgia, stands Monterrey Mexican Restaurant. Business is brisk on a Saturday evening as waiters deliver steaming platters of enchiladas, burritos, and fajitas to mostly non-Latino diners. This type of sit-down Mexican spot, with its bingo-card menu of combo platters swimming in cheese sauce, is déclassé among Mexicans but still popular in small-town America. A bartender pours frozen margaritas into giant glasses. Televisions broadcast soccer matches. Christmas lights hang across the ceiling. The rest of the decor is similarly “Mexican”—maps of states, sombreros, neon beer signs. A framed painting depicts a tree-filled plaza and a looming Catholic church. Customers may not think much of it. But this art is a hieroglyph; to the trained eye, it reveals the history of the Mexican restaurant industry in the South, and the saga of the two men who started it. The painting depicts San José de la Paz, a town of just over one thousand in the state of Jalisco. To make their fortunes in the United States, natives have left it nearly empty. Instead of working stereotypical immigrant jobs in factories or fields, San José de la Paz residents build American dining empires. 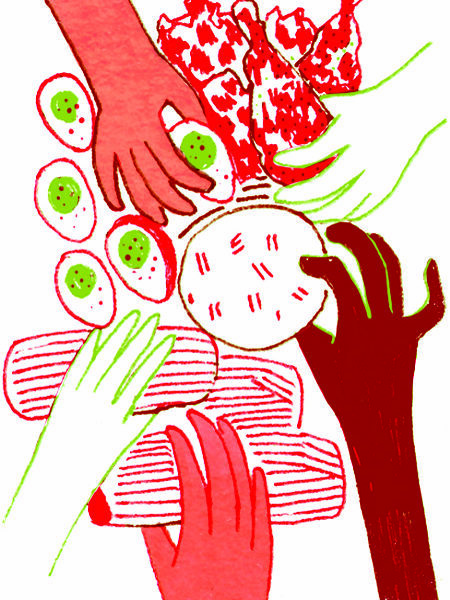 Over the past forty years, men and women from the pueblo have opened hundreds of Mexican restaurants across the South and beyond. The names of the chains change across the country, but the menus remain nearly the same, with entrées like the Speedy Gonzales (a taco, an enchilada, and either beans or rice) and ACP (arroz con pollo, made with grilled chicken and rice, drowned in a cheese sauce somewhere between paste and pudding.) The latter is a uniquely Sur-Mex dish rarely found outside the region. Watch Gustavo Arellano trace the origins of Arroz con Pollo at our 2017 Southern Foodways Symposium. Back in San José, as the exodus began, a pattern emerged: A man moved to el Norte for a guaranteed job at a restaurant owned by a fellow townsman. He worked for a couple of years, learned the business from sink to safe, and saved his money. He opened a Monterrey Mexican Restaurant in a Southern town where Mexican restaurants were rare, and called his family to come and help. One restaurant often led to more. The owner joined the American middle class and gave jobs to new arrivals. Repeat. San José became so well known in Jalisco that the demonym for its townspeople became restauranteros. Today, as newer arrivals spread their cuisines across the South, the San José de la Paz model slowly fades. Forty-five years ago, two former friends went to war to rule Atlanta’s Mexican food industry. 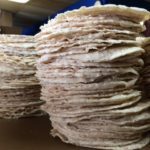 Their tortillas-and-tacos race would transform their hometown—and el Sur. San José de la Paz is in Los Altos, the highlands of Jalisco. The state is the birthplace of tequila and mariachi. Los Altos occupies the same space in the Mexican imagination that Appalachia does in the American mind. In Los Altos, the people connect their identity to the region’s mountains and agave fields. Native hooch flows freely, and soaring music tells tales of love, adventure, and pride. “I’m alteño, of the good guys/by birthright,” sang Mexican music legend Jorge Negrete in his 1940s hit “Esos Altos de Jalisco” (“Those Jalisco Highlands”). “And when I talk about my homeland/My heart enlarges.” Despite its beauty, life in San José was tough. Many of its men began to trek to the United States in the 1950s as part of the bracero program, which allowed Mexicans to legally work under contract. One of them was Jesús Macias, the father of José Macias, a grocer who seasonally picked avocados and grapes in California. The oldest of ten siblings, José Macias joined the wave in 1951 at age fourteen. He bounced between the United States and Mexico before he found a factory job in Chicago in the 1960s, a gig secured by a countryman. At 5’6”, he was short but brawny; the photo that accompanies Macias’ naturalization petition shows him in a sporty V-neck T-shirt, a slight smile hinting at his confidence. According to family members, Macias and a friend drove down to Atlanta to accompany a coworker who transferred within the company. Macias, who loved to cook, asked for a transfer as well. He saw an opportunity. Mexican food options in the city were nearly nonexistent then. José Macias opened Acapulco in 1973 near downtown Atlanta with Raúl León. The two knew each other from San José. Back home, León had become a delegado municipal—the Mexican equivalent of a mayoral appointee—in charge of infrastructure projects. He knew how to build things. Macias invited León to go into business with him. The cantina tried to cater to the few Mexicans who lived in Atlanta at the time, but it closed within a year. Not too long after, José Macias and Raúl Leon, business partners and friends, split. No one knows why. In 1974, Macias opened the first El Toro in a former motel diner off Buford Highway. He picked the name because it was easy for Americans to pronounce. There were several manufacturing plants and factories near that stretch of Buford—GM and GE and Frito-Lay. It was a perfect place to lure hungry workers who wanted lunch or an after-shift drink. Macias explicitly changed recipes to appeal to American palates. 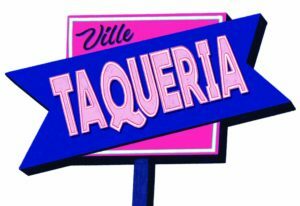 His menus displayed phonetic pronunciations of now-common dishes like chalupas and quesadillas. Flour tortillas superseded corn. Tacos came in hard shells. And cheese smothered everything. Macias opened a second El Toro a couple of miles up Buford Highway in Doraville two years later. In 1977, León responded with his first Monterrey Mexican restaurant. It opened just off Buford Highway in the city of Chamblee. He followed two years later with a Monterrey in Doraville, a two-minute drive from El Toro #2. By then, Macias had three. Atlanta’s Mexican restaurant war was on. More El Toros and Monterreys opened. 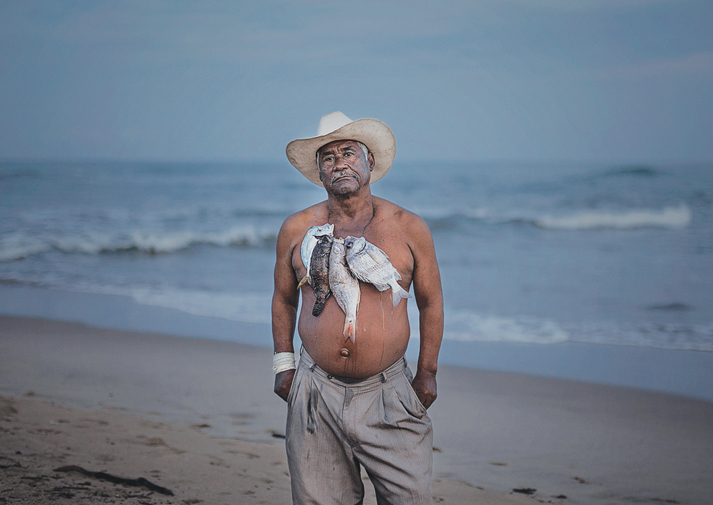 José and Raúl brought in more relatives and friends to work their outposts. The Macias clan opened restaurants in Savannah, Charleston, and Orlando. Former employees opened still more with their blessings, sticking mostly to the ever-expanding Atlanta metro area. Raúl was ambitious. He convinced workers to open restaurants in partnership with him. In the deals, Raúl retained the rights to the name “Monterrey,” sold them ingredients from his wholesale food company, made all the collective business decisions, and reaped much of the profits. He soon claimed interest in at least sixty-five Monterrey companies in North Carolina and Tennessee. By the late 1980s, Atlanta journalists began to note the transnational entrepreneurial spirit of San José de la Paz natives. Mexican restaurant listings in the Atlanta Yellow Pages, once sparse, numbered over a hundred, many founded by El Toro or Monterrey alumni. The Atlanta market became so saturated that restauranteros staked out their own fiefdoms. 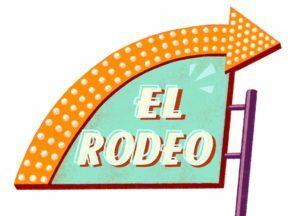 In 1986, Jesus Arellano opened El Rodeo in Roanoke, Virginia, after a San José de la Paz friend in Atlanta urged him to find an area where there was no competition. Arellano went on to own thirty restaurants. One of his employees, José Isabel Ayala, broke off to start El Dorado in Raleigh, North Carolina, in 1988; there are seven today. 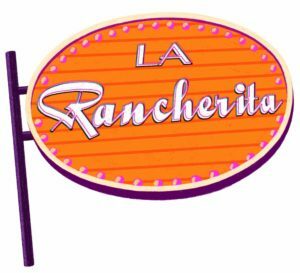 José Ibarra, another El Rodeo alum, born about forty-five minutes to the south of San José, opened his own El Rodeos in Raleigh, North Carolina, as well as a more upscale restaurant, La Rancherita. “A lot of people saw that a lot of people did good,” says Jesús León. 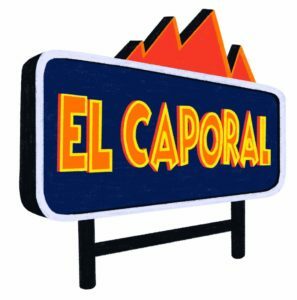 A second cousin of Raúl’s, he founded the El Caporal chain in the early 1990s in Louisville, Kentucky. His sister’s husband founded the El Nopal chain, which now has nearly thirty locations across Kentucky and Indiana. “And it extended and it extended, and slowly almost everyone got into the restaurant industry,” says Jesús. San José transformed. Los hijos ausentes—“the absent sons”—remitted money to Mexico to improve infrastructure and renovate ancestral homes. When los Macias returned in the mid-1980s, a brass band greeted them at the Guadalajara Airport. In San José, extended family threw a massive party at the Macias ranch. In 1994, the town published a book, San José de la Paz, Mi Pueblo, which codified the term los hijos ausentes and featured a list of fifty-four restauranteros who owned a combined one hundred ninety-seven restaurants in Georgia, North Carolina, and Tennessee. Thirty-eight of the migrants had at least two locations; Macias and Leon had twelve and thirty-three, respectively. The San José de la Paz dynasty became so famous that the Dallas Morning News cited the restauranteros as a success story in a 1999 multipart series on how Mexican migration had changed the United States. “Deep down,” Macias told them, “we’re still humble people who believe in hard work.” By then, the Morning News reported, San José de la Paz expats ran at least five hundred forty restaurants across the South and beyond. 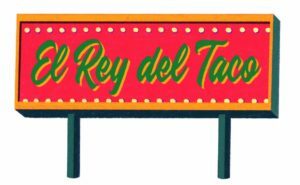 Today, business is brisk at El Rey del Taco on Buford Highway in Doraville. On a Sunday afternoon, waiters deliver steaming platters of alambres, a hot skillet of beef, chicken, or chorizo (or all three) with a choice of house-made corn or flour tortillas. The crowd is almost exclusively Latino. He’s one of the last Macias siblings to own a restaurant; nearly everyone else retired to their homes north of the city in Gwinnett County, which they bought at the height of El Toro’s success in the 1980s. The last El Toro closed a couple of years ago. José died in 2006 of diabetes. The Atlanta Journal-Constitution did not mark his passing with an obituary. Back in 1992, he had asked the family to split up their twenty-one restaurants among themselves and give them new names (Martin renamed his Los Loros—“Parrots”—so he didn’t have to pay too much to change his marquees). His restaurant in San José de la Paz closed. “He made bad business decisions,” Martin stated plainly. Raúl León spent the last years of his life appealing a $208,324 civil judgment against him for breach of fiduciary duty and fraud, filed by a distant relative who opened a restaurant for him in Wise, Virginia. A 2006 court decision upheld the initial ruling, and critiqued Leon’s business philosophy. The plaintiffs “both regarded Raúl as their ‘patrone,’ or patron, a person who gives instructions and tells people what to do, a boss to be followed without question.” The judge included a disturbing footnote: León died of a methamphetamine overdose in 2001. Many in the second generation of the San José de la Paz diaspora continue in their parents’ footsteps. In Louisville, Fabián León, the son of Jesús, runs The Ville Taqueria, where he braises carnitas in bourbon and mixes margaritas with the same. He reaps the transformation that his ancestral village wrought in the South. Monterrey restaurants and their spinoffs still do business across the country. 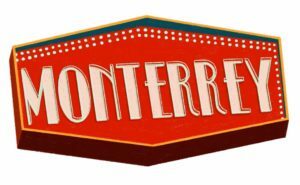 Each sports the same simple logo of a sombrero on top of a serape, with “Monterrey” above it in red, cursive font. Dozens of websites for different branches describe their history this way: “Monterrey Mexican Restaurant was first opened in Doraville in the 1970s. From there, Mr. Raúl Leon continued opening restaurants creating what started as a family business into a chain. All restaurants are owned and operated mostly by family.” None returned my requests for comment. The original Monterrey is now an abandoned building. A new shopping plaza dominated by Asian businesses displaced the first El Toro. The parking lot was pink with the labels of burnt firecrackers the last time I visited, a day after the Chinese New Year. I try to imagine the area as it was forty years ago, when José Macias and Raúl León were young and ambitious yet didn’t know that they’d change the South’s palate and its restaurant landscape forever. Then I recall a stanza to a corrido included in San José de la Paz, Mi Pueblo. “To my absent brothers/I recommend this,” the song goes. 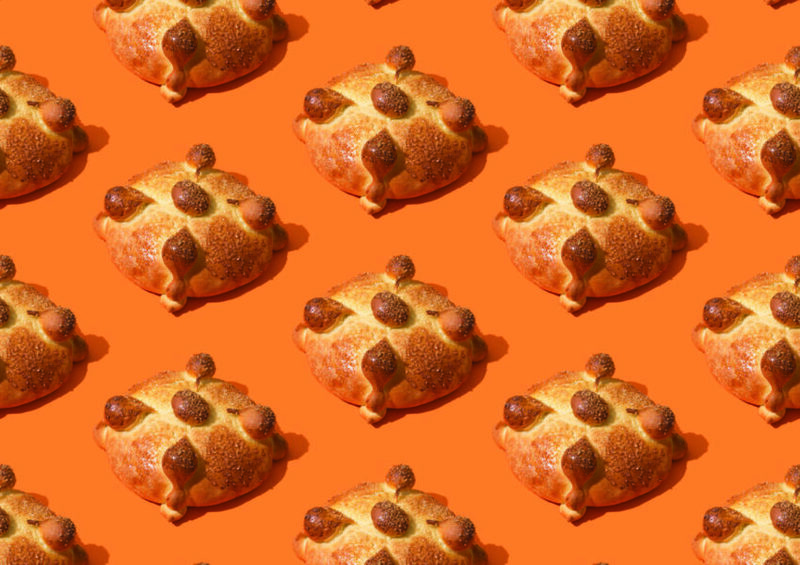 “That, although you may be far away/Don’t forget your pueblo.” At this point in the town’s history, the foods that originated with the men and women of San José de la Paz are as signal in the modern-day South as Nashville hot chicken. Somewhere, I think, as I drive to El Rey del Taco for one more meal before flying home to California, José and Raúl must be smiling, plotting to open more restaurants. It’s easy to dismiss San José’s restauranteros as men and women who watered down their culture for gringos. Indeed, Mexicans within and outside the South dismiss ACP as inauthentic when I describe the dish. But restauranteros proved a valuable lesson: If Mexicans could become successful and integrate themselves into the American South, then there’s cheese-covered hope for the rest of us. 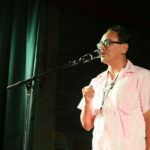 Gustavo Arellano is Gravy’s columnist.